VPT(volunteerplaintalk): Thank you for speaking with me today. I understand that you took the reins on a corporate volunteer project over the holidays? S: Yes, my firm allows us 4 hours of paid time to volunteer and I wanted to do something myself around the holidays because it felt like the time to give back. And because our 4 hours does not accrue for the following year, so I either had to use the time or lose it. VPT: How were you chosen to head up the corporate volunteering event? S: Quite by accident. I was just looking to fill my 4 volunteering hours. VPT: So you had planned on only volunteering yourself? S: Initially, yes, along with one of my friends. VPT: Did you find the organization you chose on your own or did they reach out to you? S: I found it on my own. It is a local toy drive put on by a local city organization and my mom had done something similar in Florida and I thought it would be a festive, holiday experience and I know that there is actual work that needs doing during the holidays to pull off these events. VPT: How did you end up doing a corporate volunteer event? S: Well, I approached my HR department to see if this organization would count towards my 4 hours and they told me that a number of employees hadn’t yet taken advantage of the volunteering hours for the year. They asked me if I would take charge of making it a corporate volunteering event and I agreed. VPT: How did you feel about taking charge? S: I really didn’t mind, because at our firm, we run projects, and so we are often in charge of other team members. But I will say, that there is more pressure when you are trying to create a worthwhile experience for a group. You don’t want to waste your fellow volunteers’ time. VPT: So, how did you set up this volunteering event with the organization? S: Well, I went to their website and saw that groups could volunteer. There were several categories, including sorting toys and food, setting up and also volunteering to help the people shop on the giveaway days of the event. I wanted our group to volunteer on the day they actually gave away toys and food to needy people, because I thought that it would be very meaningful for us. VPT: And how did you sign up? S: There was a place on the website to sign up for a particular date, so I did that with the names of the members of my group. I signed up two groups on two successive days. I also called the number listed on the website and left a message, because I wanted to make sure that my sign-up was recorded and I did have a few questions. VPT: And what did you ask when they returned your call? S: I never did get a return call. VPT: What? No one called you back? S: No, no one did. VPT: Did you try again? Did you get a confirming email? S: I called again and left a message. I did not get an email either. VPT: Were you worried at that point? S: Yes, very. I was now responsible for my co-workers’ volunteer hours, and time was running out on the year. VPT: What did you do? S: Well, I was very busy, what with all the family things to do and at work we had some projects with deadlines, so I waited for some sort of acknowledgement. S: Luckily, yes. When I was about to look for another volunteer opportunity, I received an email asking me to sign up again through a website called signup genius. I clicked on the link and re-signed the two groups for two separate days. VPT: Did you get a response then? S: Yes, an automated one from signup genius saying thank you and confirming. VPT: But no personal response? S: No, none. I did get a reminder from signup genius, so that was helpful. S: It would have been reassuring and helpful to get a personal phone call or email, but I just trusted that we were good to go. VPT: And did you inform your group that you were good to go? S: Yes, I forwarded the confirmation email to them with their names listed. VPT: Did you meet with your group before the event? S: No, we did not meet. It seemed pretty straightforward. VPT: Did you have an idea of who and where to report to on your volunteer day and what role you would have? S: I was in the day one group, so I could inform the group on day 2 of anything they needed to know. But, no, I had no idea who we were supposed to report to or where. I did have the address, though. S: (laughs) We just showed up. VPT: And how did it go? S: Well, parking was a real issue and we couldn’t figure out how to get into the building.. Sorry to cut it off here, but the interview is longer than one post. Next time-what happened on the day of volunteering: The conclusion of Sadie’s interview. 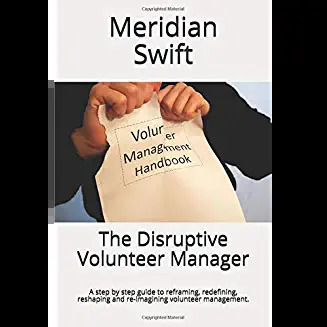 Wow, just wow… Meridian, this highlights so many problems experienced as a volunteer, and even as an administrator of volunteers. So many in fact I don’t even know where to begin or which to address first. BUT, that all aside, this is the process that most people who volunteer encounter sadly. In “Volunteers as Customers: New Take on Age Old Ideas for Volunteer Management” (http://nonprofitinformation.com/volunteers-customers-volunteer-management/) the theme I talk about is how volunteers need the same treatment as a customer. While they’re supporters, they’re also looking for an experience (a good one). Because this idea is lost on so many organizations, the experience that volunteers have are often not so great, and your interview highlights some of that. As I am reading this, I am personally frustrated at the level of uncertainty being faced by the volunteer group leader, AND by the idea that the organization receiving this gift of support COULD very well have lost an opportunity to build a great relationship because of a bad first impression. Secondly, beyond the lack of “customer service” provided to the volunteer by the organization, it highlights another problem. This other issue however is that of the company who (well-intentioned enough) doesn’t appear to have a formal, organized or strategically aligned Corporate Social Responsibility (CSR) program. It’s great that employees have four hours of paid volunteer time they can take, BUT, without a formal CSR program, it appears that employees are left to their own devices, have to fend for themselves, and have no real corporate backing for their philanthropic endeavors. Because a formal program lacks foundation, there’s no real clear direction for employees looking for outlets to do good, and they’re left to “figure it out” as they go. Another missed opportunity for the company to showcase their values for the community. In a guest post on VolunteerMatch, in the article “Creating the Win-Win Scenario for Employee Volunteer Programs” (http://blogs.volunteermatch.org/volunteeringiscsr/2016/09/08/creating-the-win-win-scenario-for-employee-volunteer-programs/) I talk about how important it is for both the companies and non-profits they serve need to be aligned strategically. There are many things a CSR program can do to work closer with their non-profit counterparts. Without an invested Administrator of Volunteers at a non-profit, and without an equal counterpart (being the CSR professional) at the company, both parties sometimes end up being two ships passing in the night. 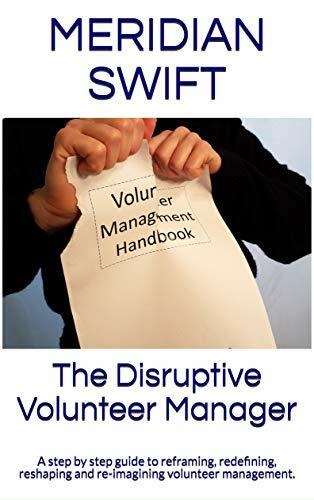 The corporate employees not finding the correct volunteer opportunity, and the non-profit organization losing an opportunity to have their mission requirements satisfied. This particular article highlights the gap that exists between corporate volunteerism and non-profit professionals. I felt like you were speaking to me when you wrote this. Thanks for sharing, I can’t wait for the next part of this. I want so badly to find out if there’s a happy ending, or if things go south. Hi Jerome and thank you so much for your insight-I love your line, “This particular article highlights the gap that exists between corporate volunteerism and non-profit professionals.” That really resonates. I too, was honestly shocked at the huge gap between these two entities-conclusion next week and am interested to see what you think! That is a shocker of a story Meridian. Even if there is a happy ending I would not be surprised if Sadie never wants to volunteer again. me too Sue, but it’s a common issue isn’t it? 95% of people we signpost as a Volunteer Centre are not contacted by the org they are signposted to! Hi Sue, it is a real eye opener when you just sit down and talk with volunteers. The whole interview was enlightening. Hope we can learn some valuable lessons from it!